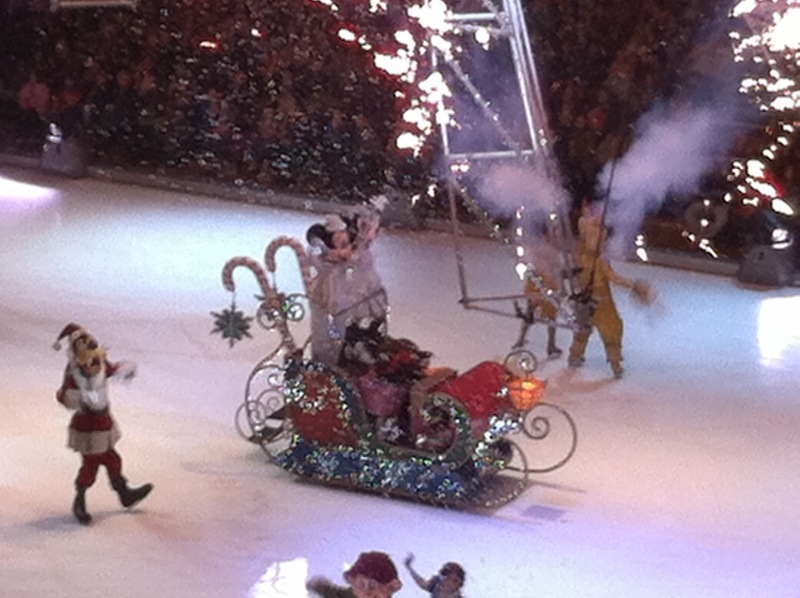 Midwest Family Food and Fun: Disney on Ice: Let's Celebrate! 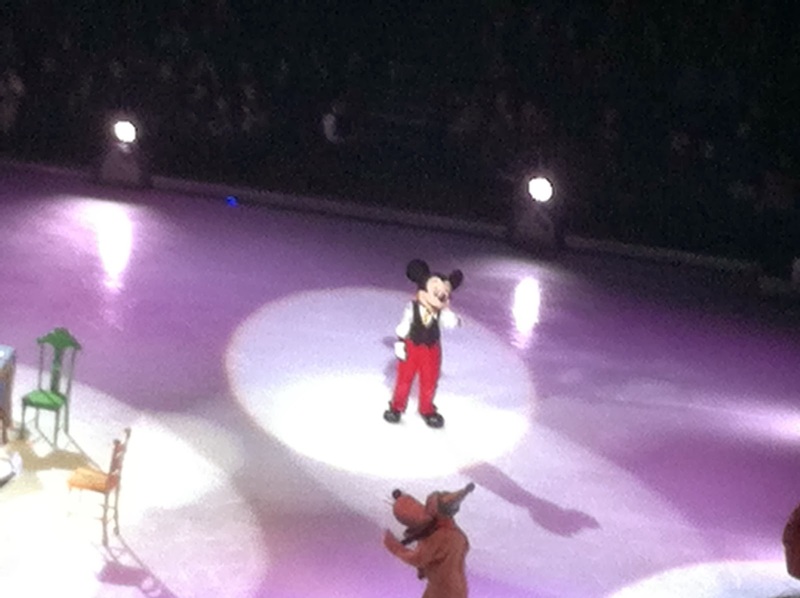 Disney on Ice: Let's Celebrate! 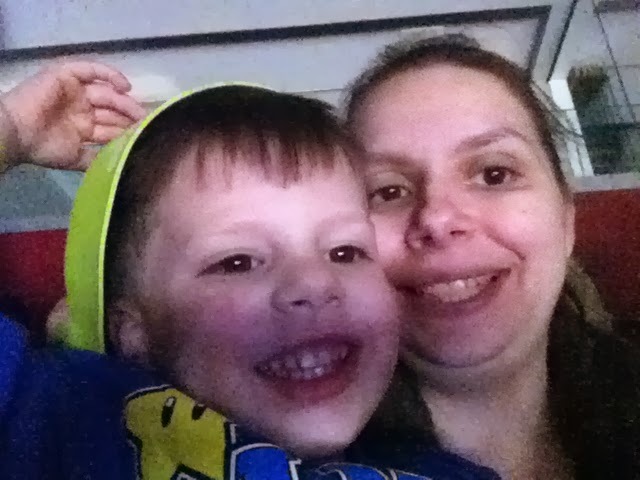 Fun was had by all tonight when we went to see Disney on Ice at the Q. It was opening night. Thanks Grandma for the great Christmas present! The boys and I were accompanied by Grandma, Uncle Mike and Miss Cassy. The theme of the show was Let's Celebrate and went through scenes from times of the year that celebrations would be had. There was a Very Merry Unbirthday Party, Halloween and Valentine sequence and of course Christmas to name a few. Check out the video of the opening sequence below. It was really cute and held the attention of everyone, which can be tough when your talking about preschoolers! Of course there were plenty of souvenirs and treats to be had. 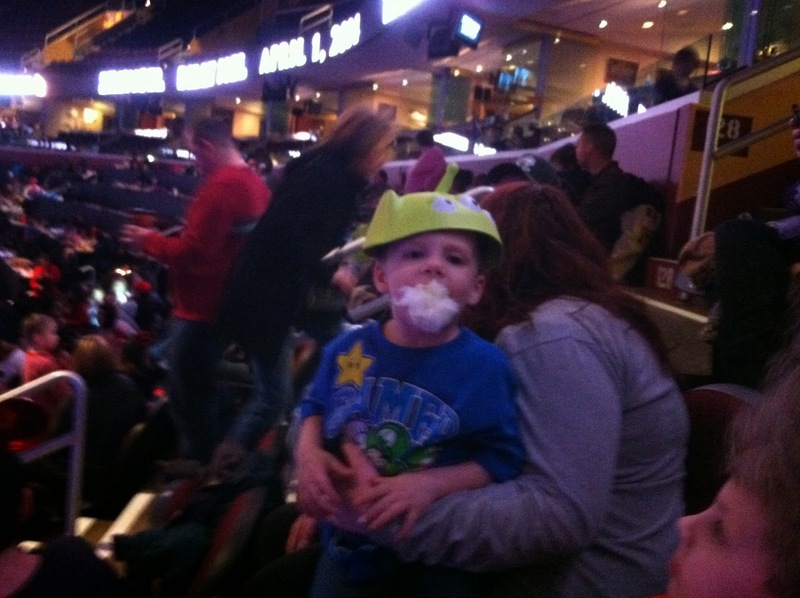 We went with the combo deal of cotton candy with an alien hat from Toy Story. Two set me back $20. 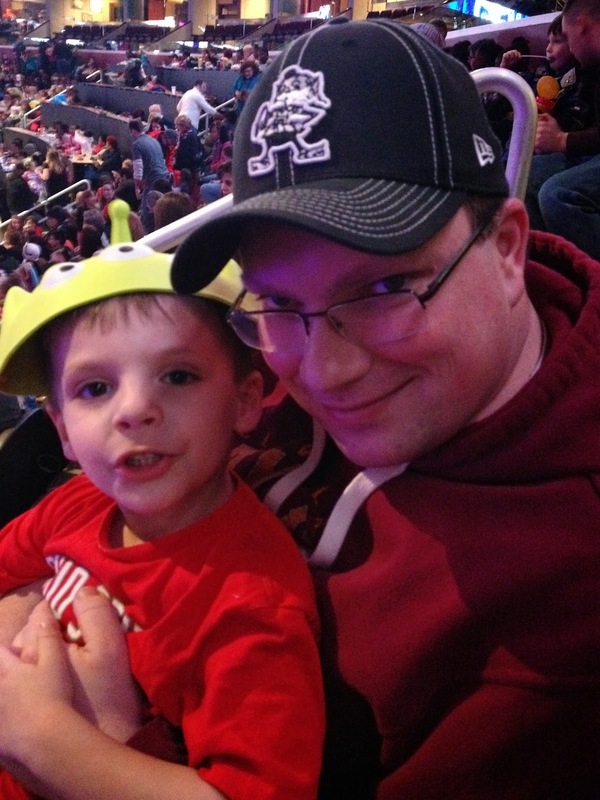 But as I have said before, I am a sucker for my kids and memories don't come cheap these days! As the pictures show, we had a blast! It really was a great event. Something for everyone. It included of course the classics: Mickey, Minnie, Donald, Daisy, Goofy and Pluto. All the princesses you could want for the girls and a great villain sequence for the boys. thinking and get your tickets! This mom give it two thumbs up. Go have some family fun! And make some memories of your own.